Democratization of knowledge undermines the authority of experts in numerous fields, and halakha is no exception. We'll explore the challenge and the response. Rabbi Fischer, one of few Orthodox rabbis in Israel willing to conduct halakhic marriages outside the auspices of the Rabbanut, explains why he does it. Sponsored by the Dr. H. Harold Gelfand Memorial Institute of Adult Education. Co-sponsored by Anonymous. Rabbi Elli Fischer is an independent writer, translator, and rabbi. 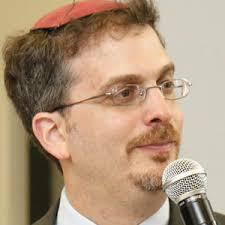 Previously, he was the JLIC rabbi and campus educator at the University of Maryland. He holds BA and MS degrees from Yeshiva University, rabbinical ordination from Israel’s Chief Rabbinate, and is working toward a doctorate in Jewish History at Tel Aviv University. He is a founding editor of The Lehrhaus, a web magazine of contemporary Jewish thought. His original writing has appeared in numerous Jewish publications. Deadline for registration is Tuesday, February 26 at 1pm.